A cute little plush toy ideal for Christmas. 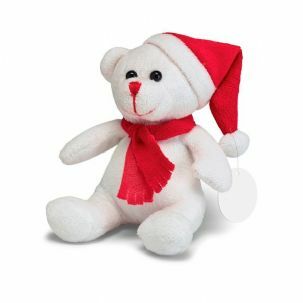 The little white bear has plastic bead eyes, a red scarf and a red Santa's Hat. The bear is incredibly soft to the touch.